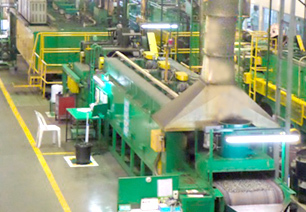 Rika JTW Heat Treatment Company Limited is a Joint Venture between Rika Industries Co.,Ltd (Japan) and Jutha Wan Metal Ltd. (Thailand) and one of “PINTHONG GROUPS” It’s main activity is the operation of the latest advanced technology facility for the Atmosphere Heat-treatment Steels, Automobile components, Agriculture machine components, BoltΝt , Screw ,Spring and Tools including Carburizing, Carbonitriding, Gas Soft nitriding, stress relieve, annealing and normalizing. 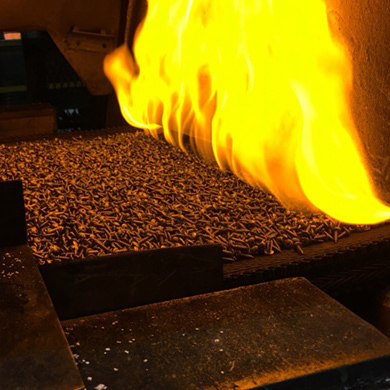 Under the policy to provide “We commit to develop our company to continuously satisfy our customer's needs.” Modern hi-tech furnaces are used and controlled by skillful technician and engineer from Thai and Japan. In our system have to inspection the quality every process to ensure high standards of quality control. 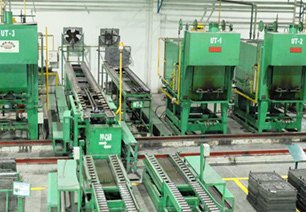 Spring and Tools including Carburizing, Carbonitriding, Gas Soft nitriding, stress relieve, annealing and normalizing. 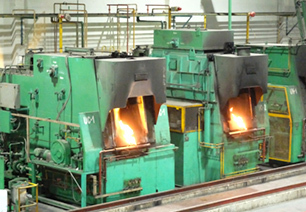 Modern hi-tech furnaces are used and controlled by skillful technician and engineer from Thai and Japan. Copyright © Rika Industries Co.,Ltd. All Rights Reserved.